If you have come as far as adding a DAM to you Martech Stack, that’s great. Then you can keep track of your digital assets and push them out in chosen communications channels. Working with images and content production it's also necessary to have a creative tool, like Photoshop. Simpler editing you can do in QBank, as auto-crop and resizing of images or illustrations. This is done by setting up a template with desired size and resolution to fit your specific channels, for example Facebook headers, Instagram posts or different website image templates. 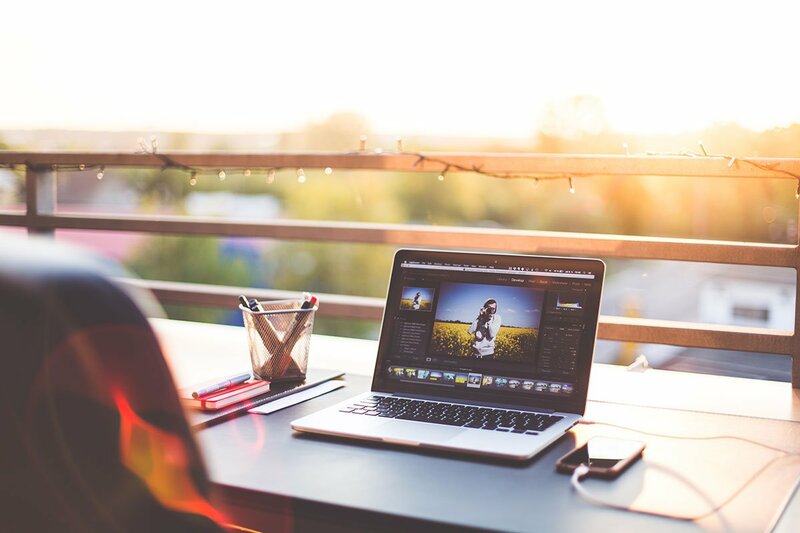 Since Photoshop is not just a tool for cropping and resizing, many Marketers' use it to add text and other graphical elements to images and illustrations. Editing that cannot be done in QBank. QBank can not take the place of Photoshop, instead we suggest an integration between the two. 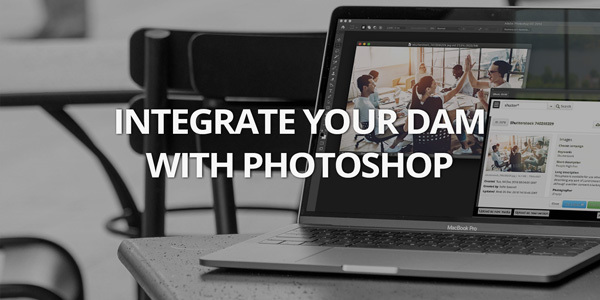 Adding a Photoshop Connector to your DAM is a way of enabling higher team efforts and efficiency. 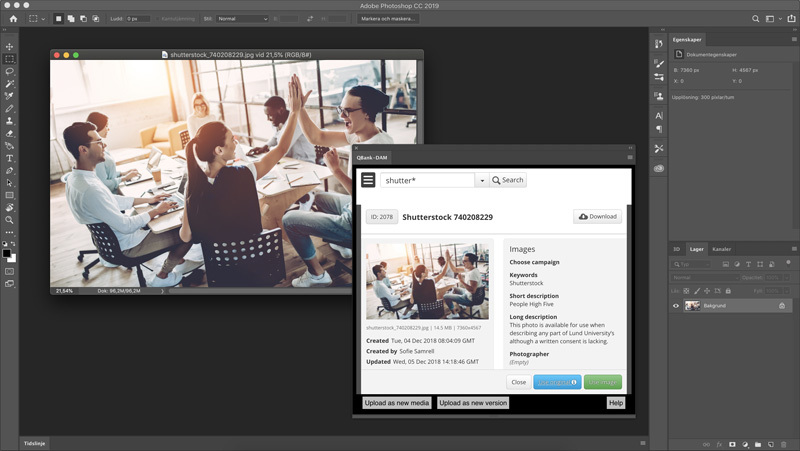 The connector enables you to reach your assets stored in QBank, from within the Photoshop interface. 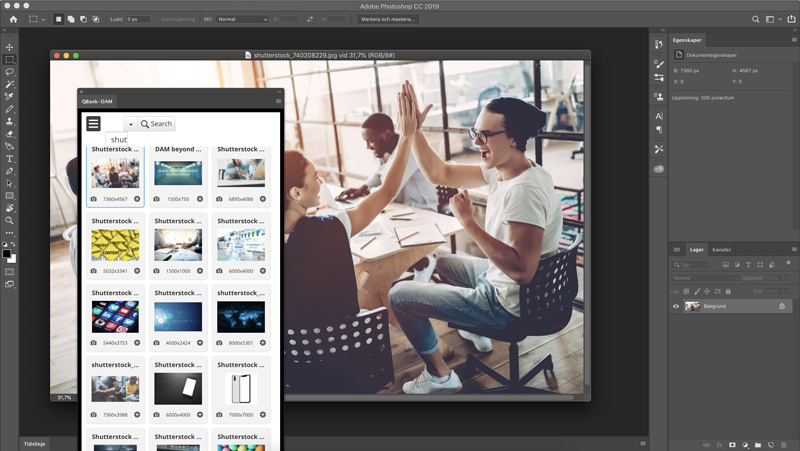 In other words, you open your assets from within Photoshop, edit the asset and then save it as a new version of your asset or as a completely new asset – straight back into QBank. Below is a couple of screenshots on how the connector looks from within Photoshop. In the QBank window you can search for the specific image you wish to open. When you found the image you wish to open, double click and chose if you want to open the original file or if you intend to create a new asset. When you are done editing you can upload it by choice. Not only is the connector a great integration for your in-house Marketing Team but also a tool to support your external stakeholders. 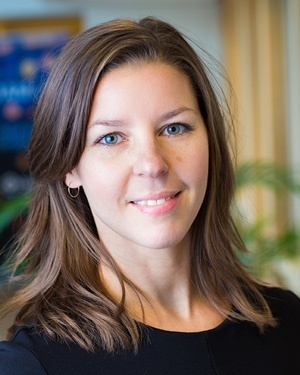 Let’s say you work with an ad agency who delivers banners and content to you. If they would add an integration between their Photoshop and your QBank, they could push your content straight into your DAM for approval or correctional rounds. And if that isn't an option, you can always use the QBank feature Moodboards for interactive teamwork. The best way to get to know our connector is to book a free demo with a QBank representative. We guide you through QBank and let you in on how the integration will turn your efficiency up.